Get this exclusive offer with any landscape lighting installation. Contact us today for more details! 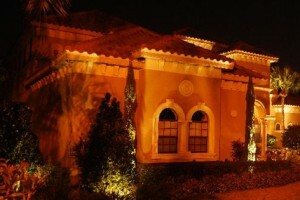 We can go through your Central Florida home and install the right residential lighting for each room and situation. When you want your project to shine trust us to make it happen! Our electricians at A&E Electrical Services LLC can help you with commercial lighting, landscape lighting, underwater lighting, and much more. Whether you want new lighting under the cabinets in your kitchen, in your swimming pool, or for decorative purposes on your property, we have all your needs covered! At A&E Electrical Services LLC, we have a team of electricians who can assist with any electrical or lighting project that you might have in your home or office. 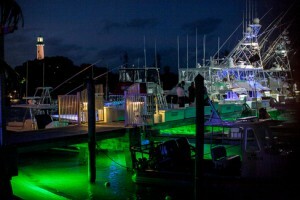 We provide commercial lighting and residential lighting services, including landscape lighting, architectural lighting, safety lighting, underwater lighting, and decorative lighting. Our team travels all over the world doing lighting projects, but our main service area includes Winter Garden and other parts of Central Florida. We have been working in the electrical industry for more than 25 years, and have provided plenty of services to people throughout the area. We work with both high and low voltage systems. If you would like to learn more about the projects we have done in the past or get ideas for your own electrical work, check out our gallery. We offer prompt and professional service to each and every one of our clients. 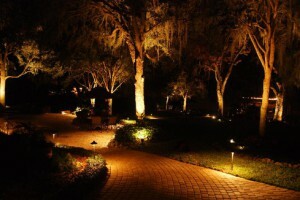 One unique aspect of electrical work that we offer is adding landscape lighting to your property. This might include putting in lights in or around trees, shrubs, or to line pathways in the yard. Landscape lighting adds pleasant ambiance and makes it easier to enjoy spending time outdoors. If you have a swimming pool, we can also add outdoor lighting that will illuminate the water. Each member of our electrical team is fully licensed and insured, so you can feel confident when you hire us for your project. We also offer service calls for both commercial and residential clients, so you can call our team if you encounter a problem with wiring or other lighting. Contact us for a free estimate, and let us bring your creative lighting idea to life!